This week, Norway will become the first country in the world to start switching off its FM radio network in a push to becoming digital-only. On January 11, the city of Bodø will be the first to have its signal switched off and the rest of the country will follow suit at planned stages through the year. The decision to make the push towards digital is proving controversial, with Reuters reporting that 66% of people in Norway are opposing the switch. Critics worry that the government is being too hasty in its actions and by making millions of FM radios essentially useless, people will now miss emergency alerts that have only been broadcast via FM radio. The biggest concern is what the switch-off means for the millions of cars on Norway’s roads that still aren’t equipped with Digital Audio Broadcasting receivers. Getting a good DAB adapter won't be cheap for these drivers. Proponents of the switch, however, say that it needs to happen as digital signals aren't just clearer, they have the ability to carry up to eight times more channels without costing any more. The fact that the switch to digital is proving so controversial for Norway means that other countries who are considering taking the same actions are paying close attention to the outcome. Switzerland is considering doing the same thing by 2020, with the UK and Denmark also having discussions about going fully digital. Outside of Europe, the United States doesn't seem quite so ready to drop its FM radio networks just yet. Though many broadcasters in the US have been broadcasting using digital HD Radio for years, AM and FM radio still has hundreds of millions of listeners to consider – more listeners, in fact, than the entire population of Norway. Though big broadcasters in the US have been able to move to digital, there are smaller radio stations across the country for whom switching to digital equipment isn't a financially viable option. A similar switchover in the US would be a much bigger battle to fight, so though it's not unlikely it will take much longer to come about than in European countries. 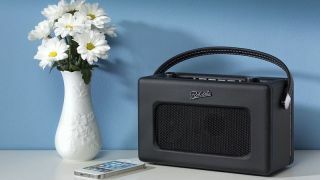 Like the US, the UK has already completed its move to completely digital TV services, however a radio switchover wouldn’t really be worth considering until the number of digital listeners was above 50%. At current rates, though, that could easily happen by 2018 meaning we too could see the change happen as soon as 2020.